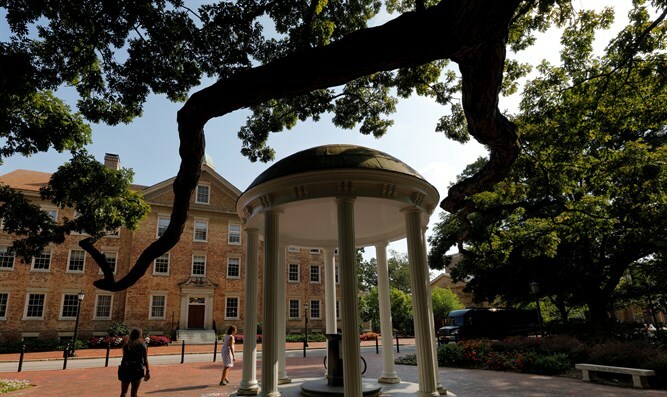 Police at University of North Carolina - Chapel Hill are investigating the placement of anti-Semitic posters on bookshelves and tables at the university’s Davis Library, the Charlotteville Observer reported. Interim Chancellor Kevin Guskiewicz urged anyone with information about the placement of the flyers to call 911. “I am extremely disappointed and appalled that anyone would write these abhorrent messages and direct them toward members of our Jewish community,” Guskiewicz said in a statement on Wednesday. “We are disgusted by the vile and hateful rhetoric on these flyers. The language is reminiscent of centuries-old, anti-Semitic rhetoric that incited the murder of thousands of Jews in pogroms throughout Eastern Europe and the murder of millions of Jews during the Holocaust. This racist, repulsive language has no place on any campus or in any society,” UNC Hillel said in a statement. “It is particularly disconcerting that this reprehensible incident occurred as Jews are preparing to celebrate the Passover Holiday which represents freedom and unity,” he added. According to UNC Hillel, there are about 1,300 Jewish students at the university - about 4-5% of the student population.